Healthcare Programs Defense Lawyers - Oberheiden, P.C. The United States Department of Health and Human Services Office of the Inspector General (OIG) is tasked with identifying and eliminating fraud, waste, and abuse in the Department’s federal healthcare programs. The OIG carries out this mission by conducting audits, inspections, and investigations. The OIG also has the authority to exclude individuals and entities who have engaged in fraud or abuse from participating in Medicare, Medicaid, and other federal healthcare programs. Exclusion from participation in federal healthcare programs can be a devastating consequence to any healthcare provider. A person or entity could be excluded from participation in federal healthcare programs for a variety of reasons. 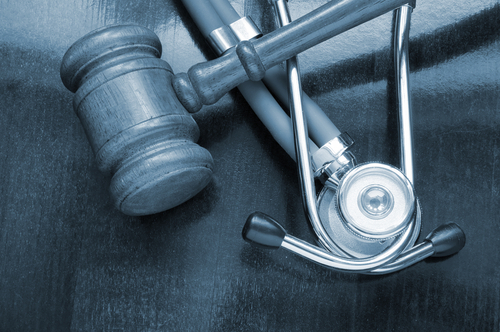 If you are unsure if you might be excluded from participation in federal healthcare programs, contact an experienced attorney to discuss your situation. Among other examples, OIG is required by law to exclude individuals and entities criminally convicted of Medicare or Medicaid fraud; healthcare-related fraud, theft or financial misconduct; patient abuse or neglect; and felony convictions related to unlawful manufacture, distribution, prescription, or dispensing of controlled substances. OIG may also use its discretion to exclude individuals and entities for various other reasons, including, but not limited to, misdemeanor convictions related to healthcare fraud; misdemeanor convictions relating to the unlawful manufacture, distribution, prescription, or dispensing of controlled substances; suspension, revocation, or surrender of a license to provide healthcare for reasons relating to professional competence, performance, or integrity; providing unnecessary or substandard services; engaging in unlawful kickback arrangements; or submitting false or fraudulent claims for reimbursement to a federal healthcare program. Once the specified period of exclusion ends, reinstatement is possible, though it is not automatic. Those who desire to participate in the federal healthcare programs must apply for reinstatement and received authorized notice from OIG that reinstatement has been granted. A written notification of OIG’s final decision concerning your reinstatement application will be sent to you. Typically, the process takes 4-6 months to complete, but it can take longer depending on the circumstances. When Can I Seek Reinstatement? Excluded providers can begin the process of seeking reinstatement 90 days before their specified exclusion period ends. OIG will not consider premature requests for reinstatement. If reinstatement is denied, the excluded provider may reapply after one year. Understanding the federal statutory system can be difficult and complicated. Our experienced attorneys can help you navigate the reinstatement application process.